Kodaikanal is a best hill station of India is full of green and amazing mountains situated at Palni hills in Tamil Nadu. Nature beauty of this place is always appreciated by everybody. Lots of lakes and visiting places at this hill are amazing. At least a week trip is required to enjoy the beautiful place completely. You will be getting the complete details about the places to visit at this amazing hill station. 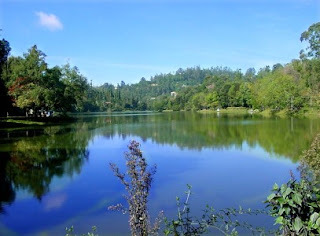 Kodaikanal is the place where you will find lots of mountain hills, lakes, waterfalls, beautiful gardens etc. With wooded slopes, mighty rocks, and many other destinations are this place are charming spots of this hill. The covered area of this place is about 22 kilo meters. Mentioned below are some of the pride places of Kodaikanal. Berijam Lake: An amazing lake is the best place for picnic. Its just 21 km far from the nearest bus stand. The best use of this lake is it gives the drinking water supply to nearest town Periakalam town. Boat Club: A club which allow the tourist to do the boating at lake. You will get getting the boats on hire to enjoy the nature closely. Bryant Park: Located in east side in Kodaikanal. Full of flowers and beautiful plants of the park are special attraction. You will definitely like Kodaikanal because of its full greenery and forest kind of living. You can enjoy the yearly show of horticulture in May every year. Coaker’s walk: 1 kilometer pedestrian’s path running along the edge of slopes. Sweet and calm wind blowing in this place is amazing. Everybody loves to visit this place. You can view the Dolphins nose shape valley in the south of Kodai. Few more spots to visit at this place are Pambar River, Periyakulam town and Madurai city. Just imagine how it will look if you see your shadow in the clouds with rainbow halo. Its open for round the year and can be seen any day time. Bear Shola falls: Its at the distance of 3 kilometer from bus stand. You can find this tall waterfall in Reserve forest. Green Valley view: 5.5 kilometer away from bus stand gives you the actual view of natural beauty. Golf course is near to this place where you can visit and can enjoy playing the wonderful game. A dam named Vaigai is another best spot to look at this place. Pine forest: Timber plants of this forest are amazing and nice in looks. Mr Bryant started these pine plantations in south of Kodai. Shembaganur Museum: Just 6 kilo meter away from the bus stand is the best place to know about the history of Kodaikanal. Founded in 1895. Open all day for general public except Tuesday. There are many other places where you can visit and enjoy like Solar Observatory, Pillar Rocks, Guna caves, Silver Cascade, Dolphin’s Nose, Kurinji Andavar Murugan temple.